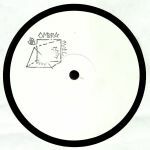 Review: For their seventh release, Berlin-based imprint Ombra International offers up some "Lust and Fury Edits". 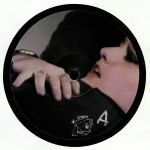 The A-side comes courtesy of Hectik and Asaf Samuel, whose "I Gave You All" is a hypnotic, shuffling rework of a little-known, new wave era cut rich in big Goth guitars (including some poodle perm-sporting solos), chunky grooves, ghostly electronics and hazy backing vocals. Mufti handles side B, offering up a loopy but surprisingly rubbery workout. It, too, sounds like the original comes from the post-punk era, featuring as it does druggy arpeggio style bass, stylish, Mascara-clad female vocals, eyes-closed guitar solos and the kind of bubbly electronics that sound like they were beamed down from outer space.